People have lived in Utah for thousands of years. The earliest inhabitants are called the Paleo-Indians. They later developed into the Fremont people and the Anasazi around 500 AD. The Anasazi are also called the "Cliff Dwellers" because they carved large cities out of the walls of cliffs. Some of these cities can still be seen today. The Anasazi disappeared from the area around 1300. When Europeans arrived in Utah, the land was inhabited by various Native American tribes. One of the largest tribes was the Ute people from which Utah gets its name. The Ute lived in temporary homes called tepees and hunted buffalo for food. Other Native American tribes included the Paiute in the south, the Goshute in the west, the Shoshone in the north, and the Navajo in the southeast. The first Europeans didn't arrive in Utah until the 1700s when Spanish explorer Juan Antonio de Rivera visited in 1765. He claimed the land for Spain and found the Colorado River. In 1776, another expedition entered Utah from Mexico. It was led by Franciscan priests looking for a way to California. In the late 1700s and early 1800s, a few more people arrived. They were mostly fur trappers looking for new hunting grounds. These men included Jim Bridger who found the Great Salt Lake and Jedediah Smith who discovered a pass through the Rocky Mountains. One of the most influential explorers was American John C. Fremont. Fremont made detailed maps and notes of the territory which was of great help to future settlers. In 1830, a religious group called the Mormons was formed by Joseph Smith in New York. However, the Mormons were persecuted wherever they went. When Joseph Smith was killed by an angry mob in Illinois in 1844, the Mormons decided they needed a new place to live. They chose Utah because there were so few people living there. In 1847, a group of 148 Mormons traveled to Utah led by Brigham Young. 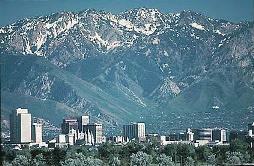 They settled in the Salt Lake Valley and named their settlement the Great Salt Lake City. The next year, 1,650 more Mormons arrived. Soon the area grew rapidly with new settlements forming such as Ogden, Provo, and Farmington. The Mormons named their land the state of Deseret and by 1850 there were over 11,000 Mormons living in the area. In 1848, the United States gained control of Utah from Mexico as a result of the Mexican-American War. The Mormons wanted to join the United States as the state of Deseret, but instead the land became the Utah Territory. Over the next several years, disagreements between the U.S. government and the Mormon leaders kept Utah from becoming a state. It wasn't until January 4, 1896 that Utah was admitted as the 45th state. The 1860s marked a time of progress for the state when Utah became more connected to the rest of the country. In 1861, the final link of the First Transcontinental Telegraph was connected in Salt Lake City. Just eight years later in 1869, the last spike of the First Transcontinental Railroad was placed at Promontory Summit, Utah. Now Utah was no longer as isolated from the rest of the nation. 500 - The Anasazi people lived in the region. 1300 - The Anasazi people disappear. 1600s - Native American tribes such as the Ute and Shoshone inhabit the land. 1765 - Spanish explorer Juan Antonio de Rivera visits the area. 1776 - Franciscan priests explore the land looking for a passage to California. 1821 - Mexico becomes independent from Spain and takes control of Utah. 1824 - Jim Bridger becomes the first European to see the Great Salt Lake. 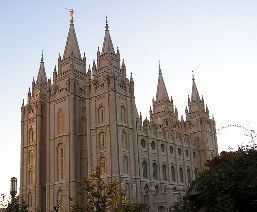 1847 - The Mormons arrive and found Salt Lake City. 1848 - Utah becomes part of the United States after the Mexican-American War. 1849 - The Mormons found the state of Deseret. 1850 - The Utah Territory is established by the U.S. Congress. 1861 - The First Transcontinental Telegraph is connected in Salt Lake City. 1869 - The First Transcontinental Railroad is completed at Promontory Summit. 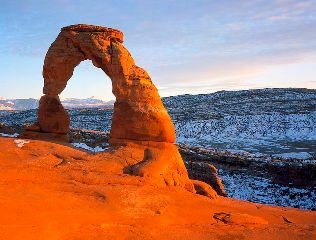 1896 - Utah is admitted as the 45th state. 1919 - Zion National Park is established. 1964 - The Flaming Gorge Dam is completed. 2002 - The Winter Olympics are held in Salt Lake City.